Born in Ireland, Flanagan immigrated to the United States in 1906 and became a Roman Catholic priest. In 1917, he founded the Home for Homeless Boys in Omaha, Nebraska, then expanded it, leaving downtown Omaha to establish Boys Town, 10 miles west of the city in 1921. 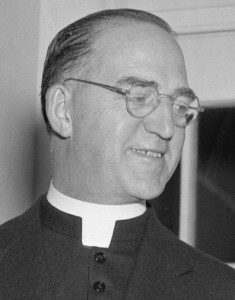 Flanagan directed the growth of Boys Town into a genuine community for orphans and troubled youths. Here, boys between 10 and 16 were transformed by love and understanding into productive citizens in a “town” with a mayor, council, schools, chapel, post office, cottages, gymnasium, and vocational training facilities. The world’s most famous orphanage, Boys Town continues to operate today as Girls and Boys Town.